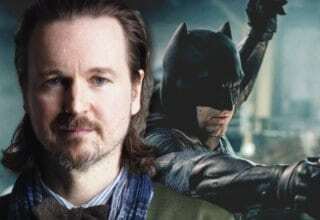 The Gotham Gazette presents the noted DC movie and TV news of the week! Firstly, Team Flash confronts Clifford DeVoe in the season finale of FLASH! Then, Damon Lindelof gave us more juicy tidbits about WATCHMEN! Finally, we got we our first looks at both AQUAMAN and SHAZAM at this year’s Licensing Expo! The Thinker’s Enlightenment is underway, and the city is in chaos. The power is off citywide and the sky has turned purple. With only hours until the Enlightenment is complete, Team Flash employs the help of Clifford’s wife Marlize (Kim Englebrecht) to stop him. 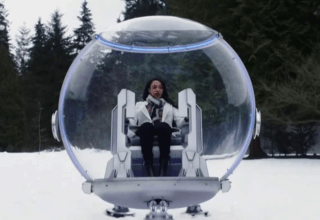 Using Cecile’s (Danielle Nicolet) powers from her pregnancy, and the Thinker’s chair, they insert Barry’s consciousness into DeVoe’s, hoping to find the good within. While in the Thinker’s mind, Barry finds Ralph (Hartley Sawyer), the last meta DeVoe absorbed to get more power and abilities. Together Team Flash finds that the good part of DeVoe is dead. Meanwhile, Devoe attempts to go after the rest of Team Flash, anticipating that they would make an attempt to get into his head. Barry comes to the realization that Ralph is now the good part of DeVoe’s mind. 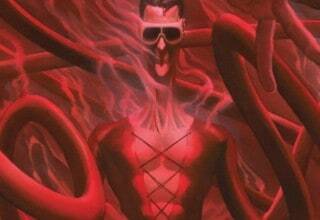 Together, they fight through DeVoe’s mental blocks and Barry runs Ralph through the nexus of DeVoe’s mind, allowing Ralph to regain control of his body. 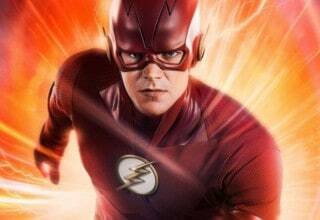 Ralph returns and Team Flash is able to shut down the Enlightenment. However, DeVoe isn’t quite yet defeated, transferring his consciousness into his old chair. When his former wife destroys the chair, it activates a dead man switch, sending the S.T.A.R Labs satellite hurtling down to the city below. Flash gathers up speed, hoping to sonic punch the satellite before it impacts. Knowing that the explosion might kill him, he does it anyway. However, someone, another speedster, sonic punches the satellite at the same time, helping Barry and probably saving his life. Audiences know that this is the Mystery Girl who has been popping in here and there all throughout this season. At the very end, the day is saved. Cecile and Joe (Jesse L. Martin) have their baby, and Team Flash celebrates. Suddenly, there’s a knock on the door at it’s the Mystery Girl. She introduces herself as Nora West-Allen, the future daughter of Barry and Iris (Candice Patton). She tells them she thinks she’s made a big mistake. For a somewhat tumultuous season, this finale was one of the brighter spots, providing a really engaging and fun conclusion. It also sets up a great cliffhanger for Season 5, where hopefully we’ll be able to see some fun Father-Daughter team-ups. Fans got a ton of DC news about Damon Lindelof’s (LOST, LEFTOVERS) new HBO WATCHMEN series. In an open letter to fans written in the style of Doctor Manhattan, Lindelof recounted how the comic written by Alan Moore and Dave Gibbons profoundly affected him throughout his life. He continued by describing the series not as a reboot or sequel but as a “remix.” Lindelof added that he believed moreover that the show must be contemporary. WATCHMEN followed this news with major casting announcements. Regina King (THE LEFTOVERS) will star alongside Don Johnson (MIAMI VICE), Tim Blake Nelson (O Brother, Where Art Thou), Louis Gossett Jr. (AN OFFICER AND A GENTLEMAN), Adelaide Clemens (RECTIFY), and Andrew Howard (LIMITLESS). While there are few household names in this cast, it does have a handful and distinguished and respected actors. In my opinion, WATCHMEN works best with lesser known actors. That way the audience won’t get distracted from seeing Brad Pitt as Ozymandias or Sandra Bullock as Silk Spectre. All of the cast will be playing original characters. 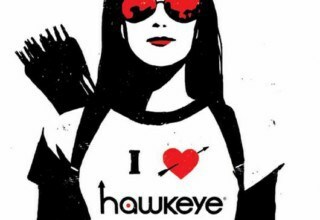 King is probably playing a character named Angela Abar, and Howard is most likely “Red Scare.” Clemens is like to be “Pirate Jenny.” Red Scare and Pirate Jenny are interesting character names because they connect this contemporary WATCHMAN to the comics. Fear of Communism, as well as pirate stories, were major elements of the original comic so its good to see that Lindelof is bringing that into his new series. Chris Pine in WONDER WOMAN 2? Chris Pine has been spotted on the set of WONDER WOMAN 2 adding to the rumors that he is in fact in the sequel. [1-YEAR-OLD SPOILERS] Pine’s character of Steve Trevor famously sacrificed himself at the end of the first WONDER WOMAN. This sacrifice was a huge part of Diana’s character arc fueling her restored faith in humankind. Wonder Woman does, in fact, reference Steve’s death in the film JUSTICE LEAGUE. Love WONDER WOMAN? Check out this Funko collectible box! WONDER WOMAN 2 is supposed to take place in the 1980s during the Cold War before the events of JUSTICE LEAGUE. That is why it is very strange that Chris Pine’s Steve Trevor could return for WONDER WOMAN 2. Is this a relative of Steve Trevor? A clone? Will magic return Steve Trevor to Diana? Story-wise the decision to return Chris Pine to the WONDER WOMAN franchise seems nonsensical. However, from a studio perspective, this decision makes a lot of sense. Much of the reason for the success of WONDER WOMAN was Pine’s fantastic chemistry with Gal Gadot as well as Steve Trevor as the comic relief. It may be important to put Chris Pine’s star power alongside Gal Gadot’s to make an equally amazing sequel for Diana. 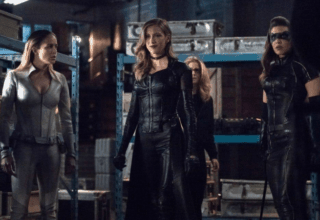 We’re still shocked by the finale of ARROW Season 6 but we’re already getting details on the much anticipated seventh season of the Emerald Archer’s show. Emily Bett Rickard, known for her portrayal of Felicity in the show teased things to come. “The idea now is: If Oliver’s in prison is he actually more than the team?” Rickards told Entertainment Weekly. This refers to the fact that Oliver’s identity as the Green Arrow has been revealed and he was escorted to a Supermax prison. This, of course, puts a target on the back of all of Oliver’s friends, families, and associates since villains know he is the Green Arrow. The fact that Oliver’s identity is open will also cause many more complications for Star City’s Guardian. How can he become accepted as a vigilante while everybody knows who he is? Will Team Arrow have to operate more outside the law than before? Will Oliver have to be the Green Arrow full-time now? We’ll have to wait until ARROW returns this fall on Mondays at 9/8c following the brand new episodes of LEGENDS OF TOMORROW. The first official image of SHAZAM is here! Courtesy of the Licensing Expo in Las Vegas, the image gives us the best look yet at Billy Batson, in costume as Shazam. The image comes complete with his signature hood and yellow lightning bolt across the chest. The picture also highlights actor Zachary Levi’s take on the character pretty well, as Shazam is sipping from a soda. Apparently, the movie will carry a tone similar to the Tom Hanks film BIG, where a young boy wishes he was an adult. We then see the antics of a boy’s mind in a grown man’s body. This is pretty much how young Billy Batson’s powers work, and seems like a great tone to replicate. If this is the case, it will definitely the most humorous venture the DCEU has yet to attempt. Let’s hope it works and will be refreshing. Continuing the theme of first looks, this week also provided us with AQUAMAN’s new look for the solo film coming out later this year. Courtesy of the same expo, the new look features brighter-looking armor pieces, bigger shoulders, and an overall look that calls back to his original comics costume. 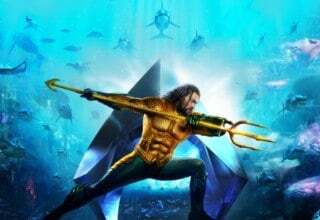 AQUAMAN is highly anticipated, especially considering that a trailer has yet to be released. Jason Momoa’s Arthur Curry was definitely one of the better parts of JUSTICE LEAGUE, with his origins only being referenced pretty generally. It should be really cool to see his rise to royalty as the rightful king of Atlantis. Plus the special effects needed to have the characters interact and fight underwater should be incredible! Catch up on DC news with the rest of the Gotham Gazette Here!